A: Probate is the process used to distribute the assets and settle the debts of the deceased. It is handled through the court system and involves an Executor or Administrator who coordinates with the courts throughout the process. Q: What is the difference between an Executor and Administrator? A: An Executor must be named in the will as the party who will handle the estate. 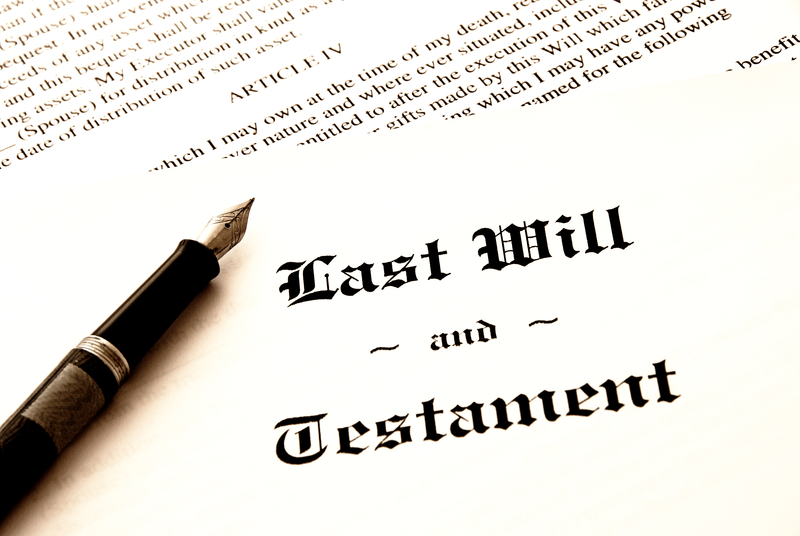 If the person died without a will, did not name an Executor, or the Executor is unable or unwilling to assume the responsibilities, the courts will appoint an Administrator to settle the estate. The Executor or Administrator is responsible for ensuring all debts are paid and the assets are distributed in accordance with the will or in the absence of a will, in accordance with the law and/or ruling of the court. The Executor can be held liable in certain instances (for example, if assets are distributed before debts are paid), so if you are named as Executor, you may wish to speak with a probate attorney about your duties and responsibilities. Q: If my spouse had a will, do I still need to go through probate? All assets are held by a trust established by your spouse prior to their death. There are other instances when probate can be avoided. You should speak with an attorney to learn more. A: This process takes place in the state and county where the deceased lived. If he or she split time between two residences, then the probate courts where the primary domicile is located will handle the case. If you do not live locally, it is often helpful to hire or consult a local probate lawyer. Probate can be a confusing and unfamiliar process. If you have specific questions, we recommend you speak with a probate attorney in your state.